Stevenson Landing is a cruise ship pier located on the Columbia River at mile 150 in the heart of the Columbia River Gorge National Scenic Area. The pier is located in the Russell Street right-of-way, 125 feet east of the Cascade Rapids Upper Range Rear marker in downtown Stevenson, WA. 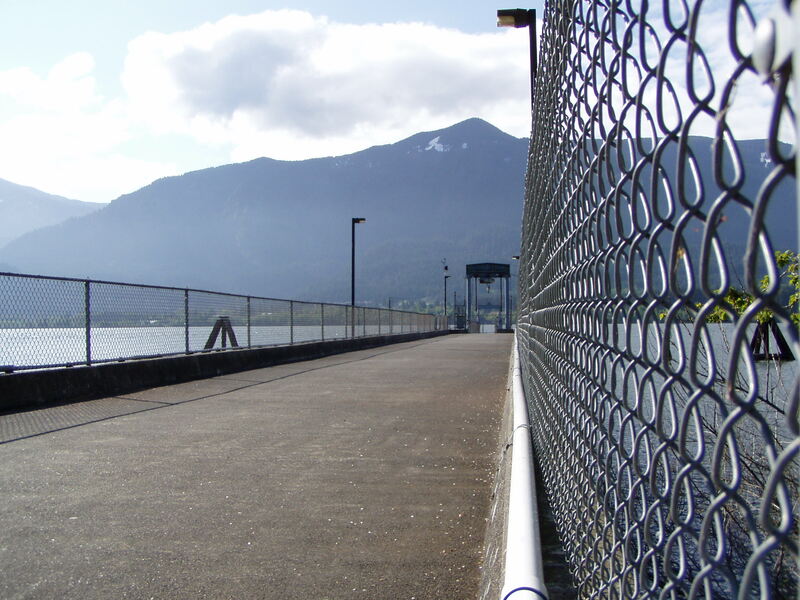 Structure: The concrete pier is 200 feet long, 15 feet wide and has a 55′ by 6’6″ adjustable steel gangway. Three sets of dolphins are centered on the gangway at 12′, 66′ and 156′, which allow for a range of docking possibilities. Features: Passengers and crew will find banks, a pharmacy, a grocery store and a 24-hour convenience store, a liquor stores, a health clinic, an acupuncture clinic and yoga studio, day-spa services (such as tanning, massage, hair styling, manicures, etc. ), and several restaurants, brew pubs, tasting rooms, and gift shops. Within walking distance are six Port parks: Teo Park and Bob’s Beach to the west; Leaven’s Point, East Point Kite Beach, Cascade Boat Launch, and Pebble Beach to the east. 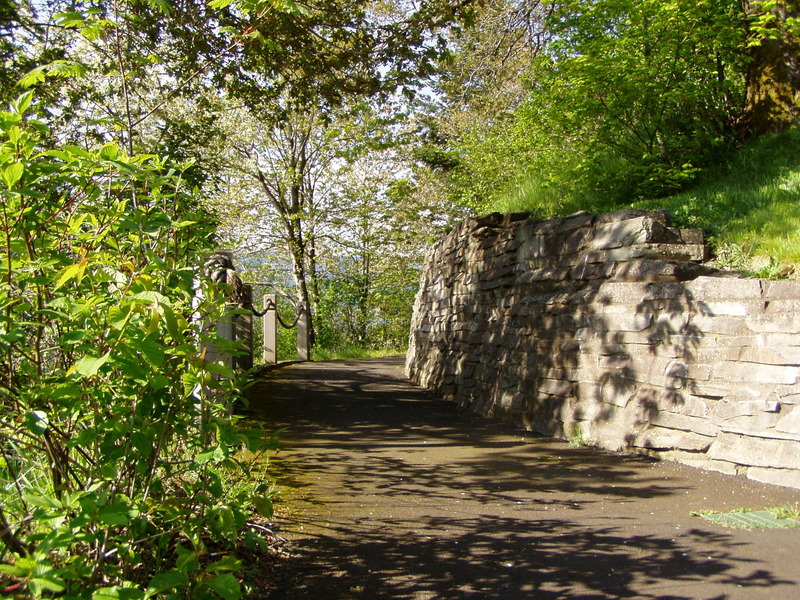 These parks are connected via a walking path through beautifully landscaped and maintained vegetation and signage informing views of local plants and wildlife. This is a great spot for viewing local water sports such as kite boarding, wind surfing and sailing. 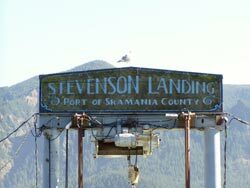 The Stevenson Landing pier offloads passengers in the historic waterfront town of Stevenson, Washington. Stevenson offers access to many world-class attractions including Columbia Gorge Interpretive Center Museum, Skamania Lodge Resort and Golf Course, Bonneville Hot Springs Resort and Spa, Carson Mineral Hot Springs Resort, Bonneville Dam and Fish Ladder, Beacon Rock State Park, Mt. St. Helens, the Gifford Pinchot National Forest and much more. 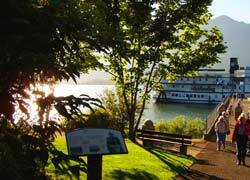 A stroll along the Columbia River waterfront is a great way to take in the surroundings. Downtown Stevenson is home to unique shops, art galleries, antique stores, coffee houses, flower shops, bars and restaurants. Not to mention an award-winning local brewpub. There are many services available to passengers and crew, including banks, a pharmacy, supermarket, liquor store, beauty shops, health clinic and a 24-hour convenience store. Day spa services such as tanning, massages, hair styling, manicures, etc. Recreational opportunities that are easily available locally include golf, hiking, fishing, whitewater rafting, kayaking, windsurfing and kiteboarding. In Stevenson, there is something for everyone. Head off on one of your favorite outdoor activities or try something new. Perhaps just sit at Bob’s Beach and take in the view. Directions: From Portland take I-84 east to the Bridge of the Gods exit #44; Cross bridge to Washington SR14, turn east, 3 miles to Stevenson; Turn right on Russel St., cross railroad tracks. Stevenson Landing is straight in front of you.